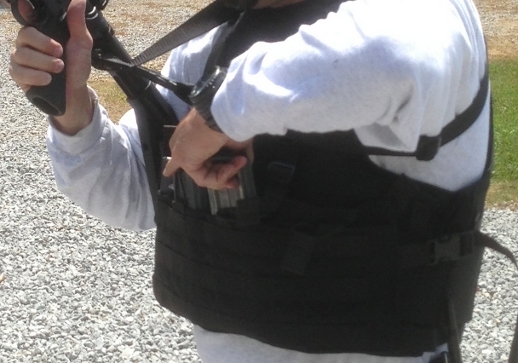 One of our customers contacted us about getting an OTV (Outer Tactical Vest) made for his custom cut body armor. He wanted a carrier that would support both soft and hard armor, a full cumber bun, drag handle, Velcro for ID and wanted it in A-TACS FG. He followed our custom body armor instructions and filled out the custom carrier form. He traced out his soft armor panels and provided us the desired features of his OTV. Once his armor paper outlines arrived with the details we were able to send him a quote. If you have custom cut body armor, you have it for a reason. It fits your body better and let’s you do your job better. Why not have a custom cut OTV?. 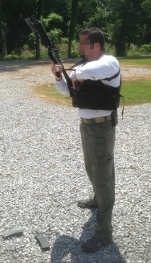 We make it really easy to get a custom Outer Tactical Vest made for your custom cut body armor. These pictures were taken by On The Ready Media at a recent tactical training event put on by Nielsen Training Associates – a specialized firearms, consulting, and self-defense training organization for Law Enforcement and Military personnel/units, as well as to law-abiding citizens in the Northern California area. On The Ready Media started late last year and offer action photography, cinematography, videography, and slow-motion capture. 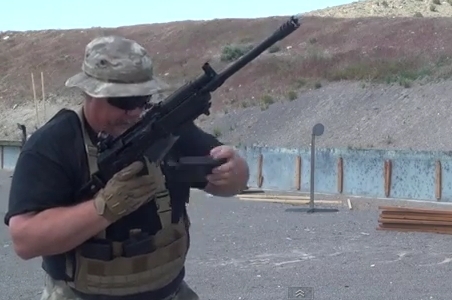 They specialize in the firearms training industry providing photos and video to their host’s clients. On The Ready Media uses state of the art media gear, Canon Digital equipment, video sliders, stabilizers, a DSLR rig, and multiple tripods. Check out the video of their slow-motion capture. The VEPR 12 Chest rig is designed to support the truly reliable gas-operating shotgun system, the AK based VEPR-12 is a tactical shotgun that is changing the game. 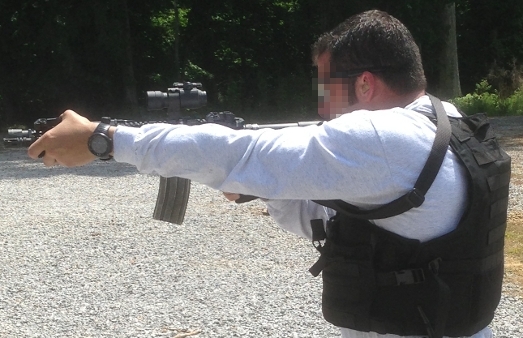 The VEPR 12 chest rig is built to hold 3 mags and available in a 5 mag or 8/10 mag version. Adjustable mag retention straps secure the mags in place. The chest rig also has an internal pocket for the storage of additional items. The VEPR 12 Chest rig is available in: Multicam, A-TACS AU, A-TACS FG, Kryptek Highlander, Kryptek Mandrake, Kryptek Typhon, Coyote, Khaki, Ranger Green, Woodland, ABU, ACU, and Black. As more BALCS LVR (Low Vis Rig) body armor carriers go out more pictures of the LVR carrier are coming in. 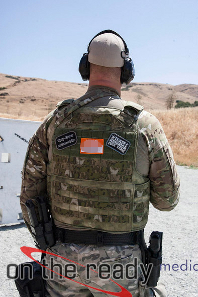 The BALCS LVR (Low Vis Rig) is a state-of-art , low profile, modular tactical vest designed for the BALCS cut armor that allows the user modular capabilities while maintaining flexibility for mission specific needs. The LVR was designed for low vis operations. 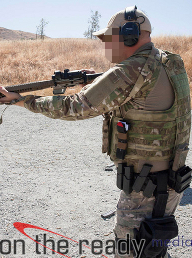 From the very beginning we have been designing low vis rigs for NIJ, OTV, IOTV and BALCS cut body armor. On the back of the BALCS LVR we incorporated a low profile, reinforced drag handle and a few rows of molle webbing for the attachment of pouches. 4” of loop velcro go around the entire carrier for maximum elastic side adjustment for user comfort and fit. The carrier was built around the BALCS cut body armor industry dimensions standards. The carrier will support BALCS cut armor from Velocity Systems, BAE, KDH, Point-Blank, and many others. The carrier supports front and back hard plates – SAPI, ESAPI, SWIMMER CUT. 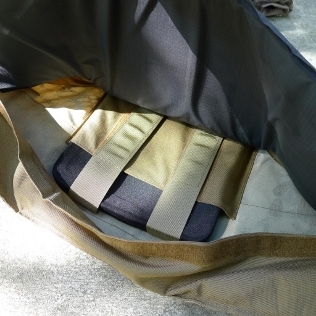 The plate pockets supports the plate with 2-2” mil spec webbing and has plenty of adjustment. 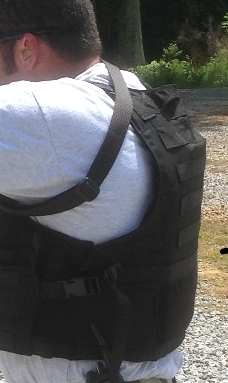 Many body armor carrier only use one webbing strap. We feel securing and supporting the hard plate in place correctly requires two webbing straps. The Kryptek carrier goes good with a set of Kryptek camouflage clothing. The BALCS LVR (Low Vis Rig) is a scalable low vis rig built for the low vis industry and user. The LVR is available in: Multicam, A-TACS AU, A-TACS FG, Kryptek Highlander, Kryptek Mandrake, Coyote, Khaki, Ranger Green, Woodland, ABU, ACU, and Black. We have been building custom body armor carriers for years and have built carriers for armor made by Velocity, American Body Armor (ABA), SAVVY- Armor For Women, PROTECH, Second Chance, Point Blank, US Armor , KDH and many others. 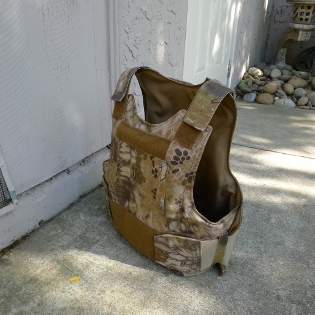 We are excited to introduce this new form to make it easier to make a custom body armor carrier for our clients. The new form includes two images that depict the end user with his or her body armor on and the needed measurements. The A to B measurement is from the center of the body(around the belly button area) to the edge of the back panel. Some armor cuts do have overlap over the front panel but the measurement is to the back panel edge. The C to D measurement is from the top edge of the front panel over the shoulder the top edge of the back panel. 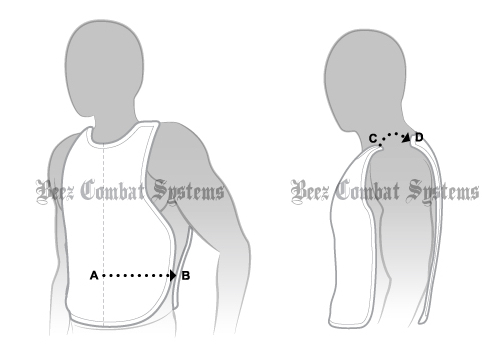 Both of the measurements help us build a better and more comfortable custom body armor carrier. A custom body armor carrier for Law Enforcement will cost effectively convert that custom cut body armor into an OTV(Outer Tactical Vest). Female officers that are on tactical teams this is an ideal solution. Hard plate pockets, velcro and drag handle can all be added to the OTV. 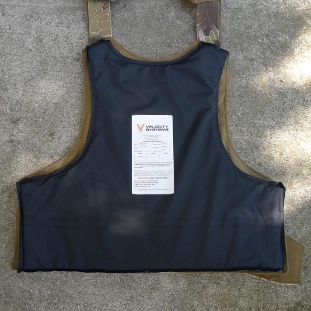 Low vis vest with hard plate pockets are increasing in popularity. 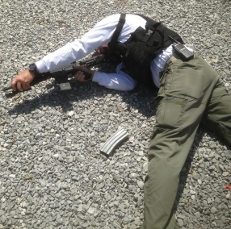 If you need to up armor and stay low profile, one of our low vis vest will do the job. 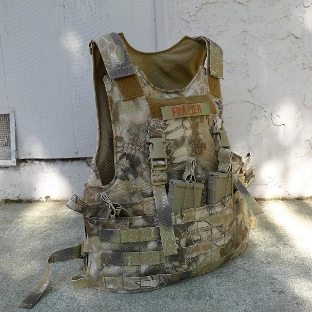 Tactical groups that have changed to a new camouflage pattern and need to update your Tactical Vest. We offer 12 different colors and camouflage patterns. Range Masters, Firearms Instructors, Public Safety, Fire Fighters, and EMS – Red has been added to our color options. 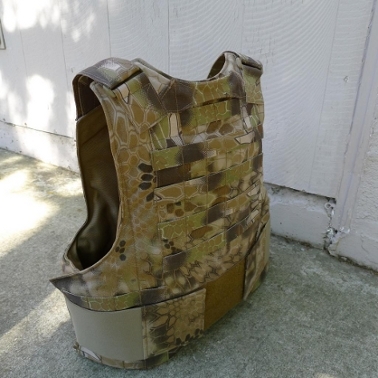 A high visibility custom carrier can be made to support your body armor panels. Our custom body armor carriers can be made with vertical webbing attachment points to support the ITW QASM buckles. The attachment points will allow the Beez Combat Systems chest rig bib, Mayflower and Haley Strategic rigs to be attached to the carrier. Velcro loop can be requested to support the rigs as well. 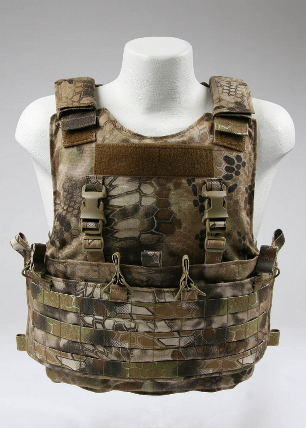 We look forward to helping you with your custom cut body armor carrier needs. The BALCS LVR (Low Vis Rig) was released just a few weeks ago and we are already seeing the LVR put to use. 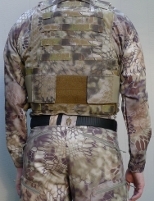 The BALCS LVR body armor carrier was designed around the popular BALCS cut body armor. 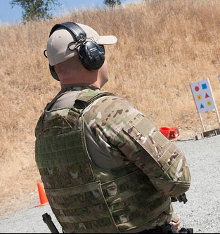 This new body armor carrier system provides a scalable way for BALCS cut armor users to go from low profile to a fully loaded outer tactical vest. 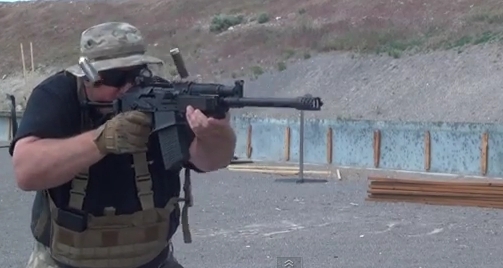 The chest rig bib supports a 4 mag configuration and available for AR or AK mags. The bib is connect to the BALCS LVR with two buckles on the chest and one on each side. The hook velcro on the inside of the bib allows the user to quickly attach it to the carrier. Which allow the sides to be connected when the situation permits. The hook velcro adds mag stability and prevents the bib from moving. The bib has three connection points on each side and an internal pocket for additional item storage. The 4” fully adjustable heavy duty elastic sides provide the right amount of expansion and contraction. 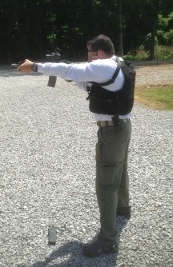 A carrier that is worn too tight or rigid can prevent air supply to your lungs and not allow a proper shooting position. 4” loop velcro extends around the entire carrier for maximum waist elastic adjustment. 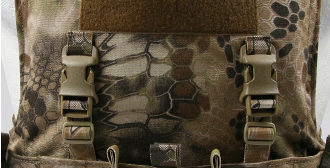 The back of the LVR has a reinforced drag handle and molle webbing for the attachment of a hydration carrier or pouches. 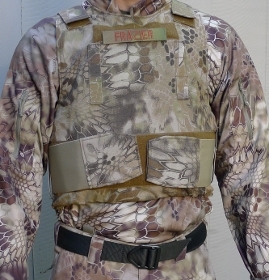 The BALCS LVR (Low Vis Rig) is a state-of-art , low profile, modular tactical vest designed for the BALCS cut armor that allows the user modular capabilities while maintaining flexibility for mission specific needs. The SVD chest rig is designed to support SVD, PSL and M76 10rd mags. 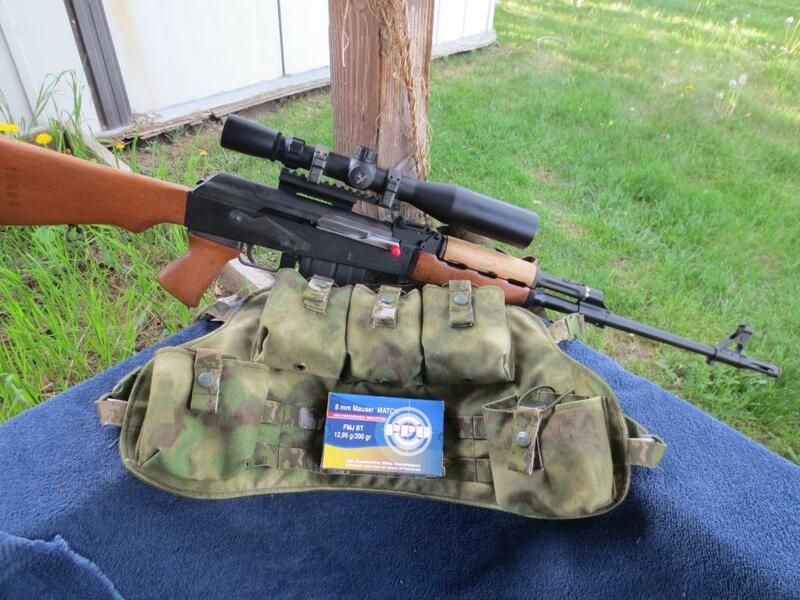 We make three different SVD chest rigs – SVD 5 mag low profile, SVD 6 mag and the SVD 10 mag chest rig. The above weapons system is a Zastava M76 – The arms company Zastava released the M76 in the mid-1970s. Since then it has become the standard issue sharpshooter rifle in the Serbian army and its predecessor the Yugoslav National Army (JNA). It is designed to fulfill the same role as the Soviet Dragunov SVD, which is to provide a designated marksman capability to the infantry platoon. The SVD chest rig is available in Multicam, A-TACS AU, A-TACS FG, Kryptek Highlander, Kryptek Mandrake, Coyote, Ranger Green, Khaki, Woodland, and Black.